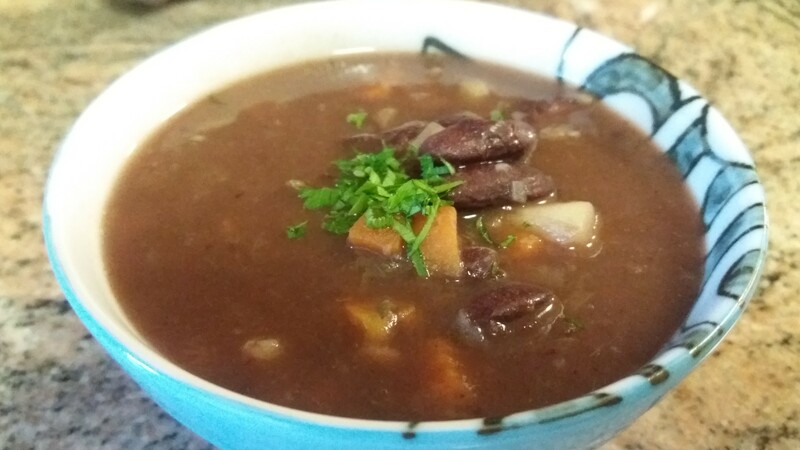 I love the flavors of the fall and you will find this soup brings out all those tastes you associate with the season. Enjoy! Soak the beans for 4 to 6 hours or overnight and discard soaking water. Place beans in pressure cooker with enough water to cover the beans and bring to a boil. Skim off any foam and then add bay leaves, kombu, cover. Bring to pressure and cook for 40 minutes. When done, remove from heat and let pressure come down naturally. If under a time crunch, run cold water over the pressure cooker to bring down pressure quicker. Heat a soup pot on medium heat, add olive oil and garlic and sauté for a minute. Add onion, a pinch of sea salt and cook until the onion is translucent. Layer parsnip on top of the onion followed by the carrot and the beans and any remaining bean juice. Add water to reach desired soup consistency. Bring to boil and cook for 20 minutes. Add sprigs of rosemary and thyme and cook for additional 20 minutes. Season with sea salt and serve.